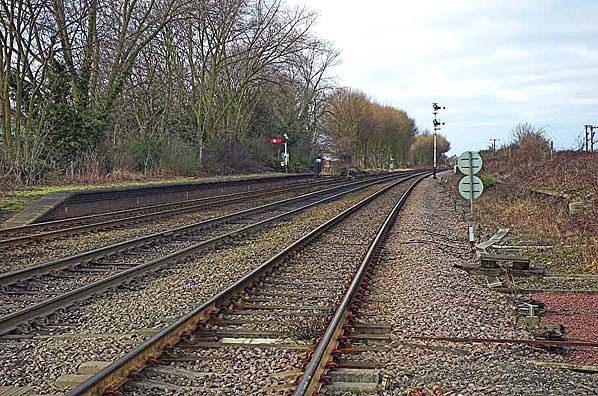 Notes: Melton Crossing Halt opened in the early 1920's after the Humber Cement Company, whose factory was located to the south of the railway, agreed to finance its construction and maintenance. 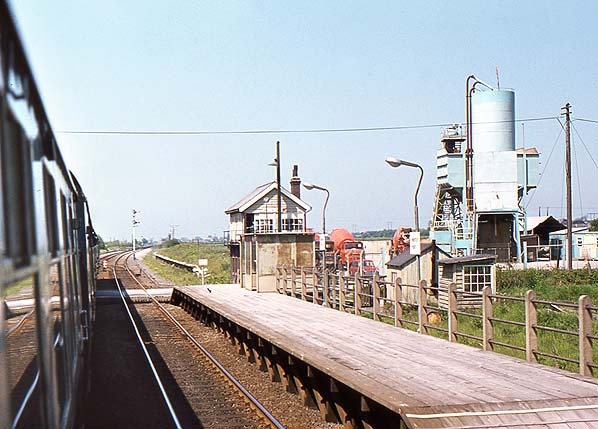 The NER were to provide stopping trains at suitable times for the workforce and in return a certain amount of ticket purchases were guaranteed by the Humber Cement Company. The halt was situated on the western side of the Gibson Lane level crossing between Ferriby and Brough stations on the Hull-Selby line; two brick platforms were provided. In later years a smelting works provided additional passengers. By. 2.1965 the station had been renamed Melton Halt. 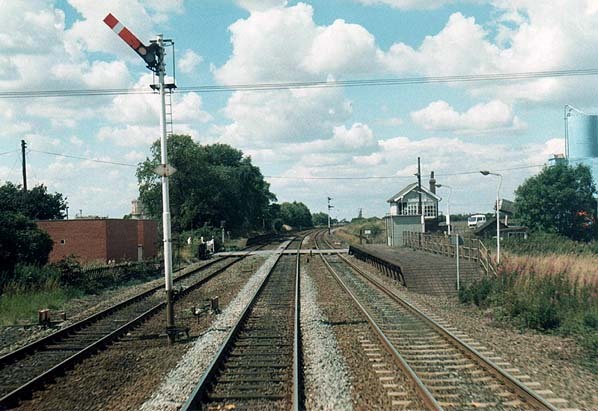 At the time of construction the line through Melton Crossing Halt was four tracks; when the eastbound slow line was lifted in the 1970's a short wooden platform was provided alongside the former fast line on the east side of the level crossing. The halt, being primarily for workers, was not advertised in the timetable. 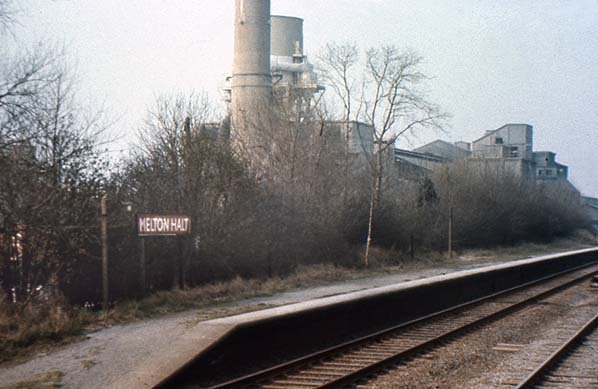 In the 1980's with only one train in each direction calling at Melton Halt (early morning westbound, late afternoon eastbound), these were given a footnote in the timetable as 'also calls at Melton Halt'. Nevertheless closure of the halt followed the full TUCC consultation process and closure came on 8.7.1989. 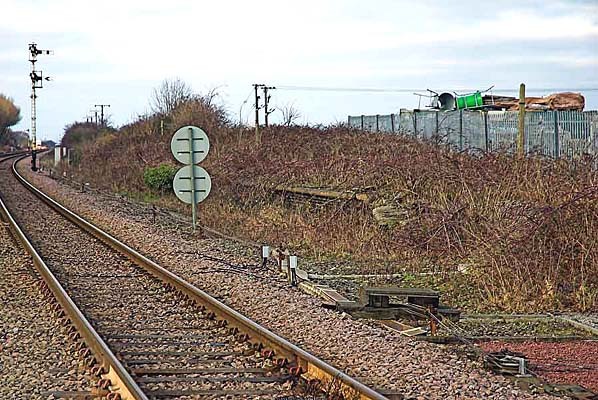 Following closure, the wooden eastbound platform was quickly removed, however both the original brick platforms remain, the eastbound one only just visible through the undergrowth. The adjacent Melton Lane signal box, which controls signaling for some distance towards Hull also remains and has recently been double glazed with UPVC windows which closely match the original appearance. Melton Halt in August 1988 taken from the cab of a train on the 'up fast' line to Selby and Leeds.